Summer 2019 schedule is now available! love for music and dance and make it part of their life. aural and motor skills developed at an early age. 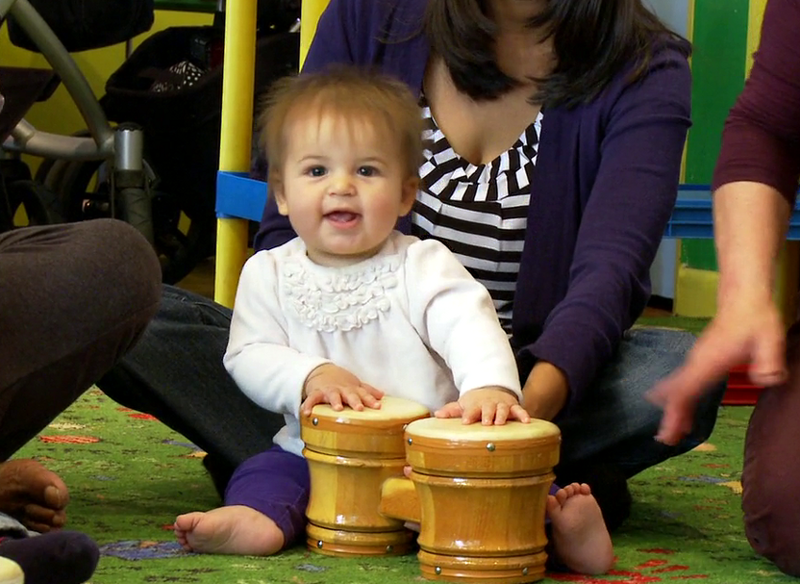 Our classes engage babies ages 4-12 months in sing-along activities that introduce classical, folk and popular music. 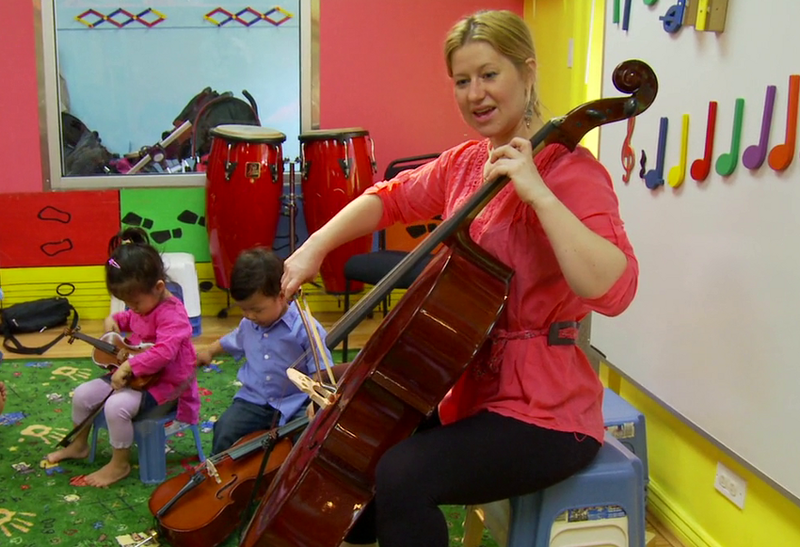 Teachers demonstrate musical instruments from the string, woodwind, brass and percussion families; and babies are given an opportunity to experience the sight, sound and touch of many orchestral instruments. 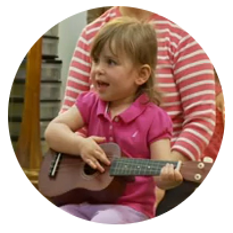 Kids ages 1-2 years become more engaged in sing-along songs and musical games that focus on building their aural development. 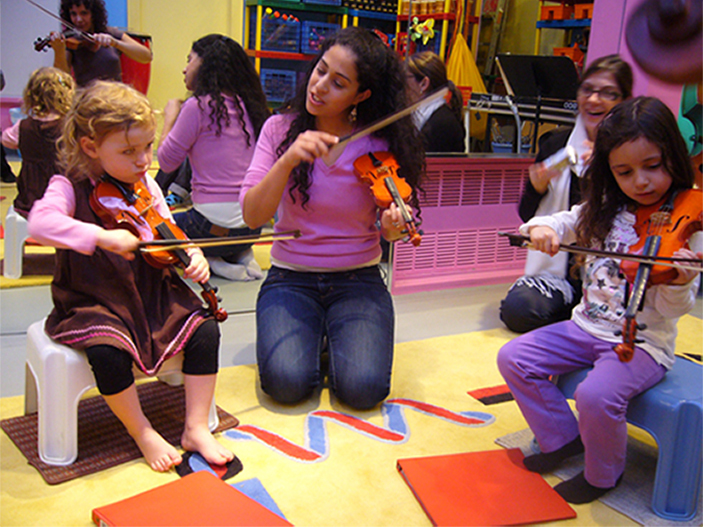 Teachers motivate children in activities that encourage meaningful movement and response to music. 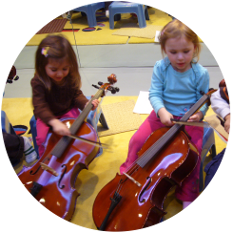 Children observe, listen and are given the opportunity to hold and experiment with their own miniature version of classical instruments of the orchestra as well as folk instruments like guitar, accordion and harmonica. 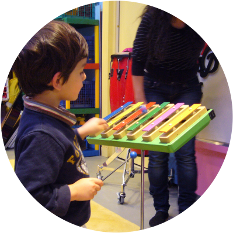 Children are exposed to more sophisticated melodies and begin to rhythmically accompany the melodies on various percussion instruments such as the xylophone, triangle, maracas, tambourine and castanets. Playing on musical instruments like violins, recorders and harmonicas, kids have the opportunity to imitate their teacher in ensembles. 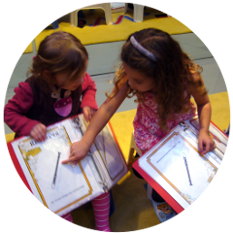 Children start learning to interact, listen and work together as a cohesive group. Children are able to accompany songs and learn basic rhythm concepts through bongos, cowbells, wood blocks and other percussion ensembles. They enjoy singing their favorite songs and play in string ensembles using mainly the open strings. They also experiment with the melodic possibilities of the xylophone. Children develop a fine ear and are able to distinguish between sounds of different musical instruments such as violin, cello, bassoon, clarinet, trumpet, harp and many more. Teachers show them how music is notated and help build an understanding of rhythm and note reading. 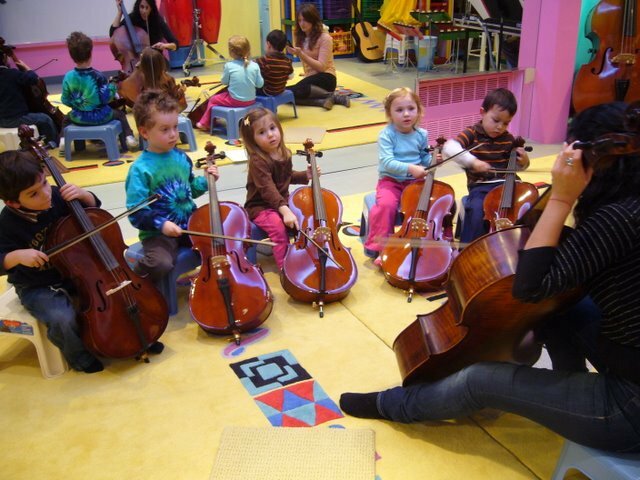 This class is usually a small group where we develop our student’s skills while playing in instrumental ensembles such as strings and xylophones. This group is special in that the students build greater focus by playing music together. Within this group they not only pretend that they are musicians- they each become one! Students are given small homework assignments and at this age we convey to them the importance of regular practice. They are taught the symbols associated with music and various activities allow them to remember and understand music and also increase their interest and concentration. 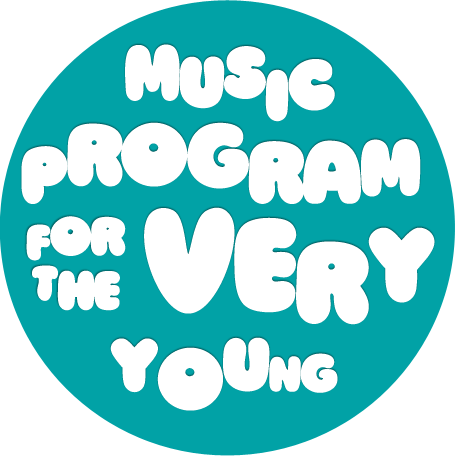 This class is designed to help children choose which instrument they want to pursue for private music instruction. Please feel free to contact us (212) 877-7125 with any questions. What is the right age to start learning music? 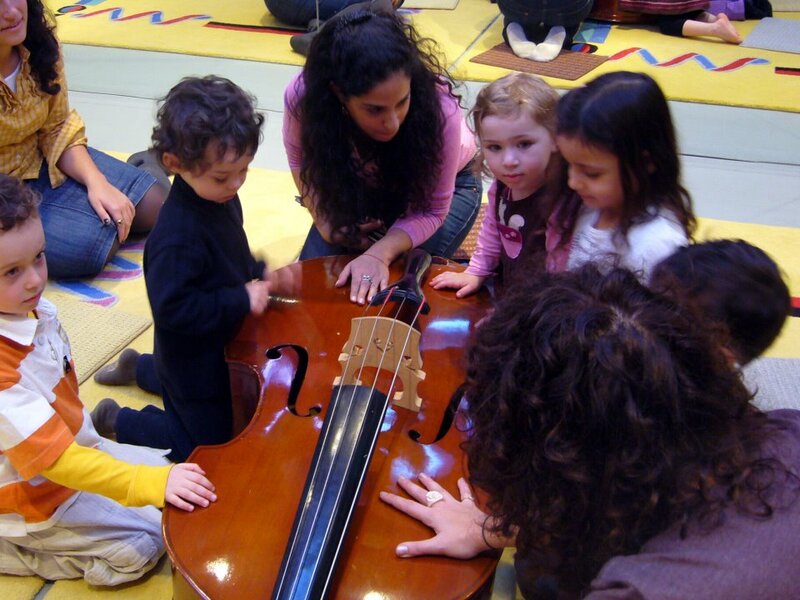 Not surprisingly, at Musibambino we believe in starting musical education as early as possible. What is the age range of classes? All classes are carefully composed of appropriate age groups. For Music classes: 4-12 months, 1-2 years, 2-3 years, 3-4 years and 4-5 years. We believe that this approach benefits the learning process. Personal development of each child is our concern. Therefore, our teachers carefully watch their involvement and participation in class and give feedback to parents during and at the end of the semester. Classes are 40 minutes each. Each group is scheduled for classes once a week. 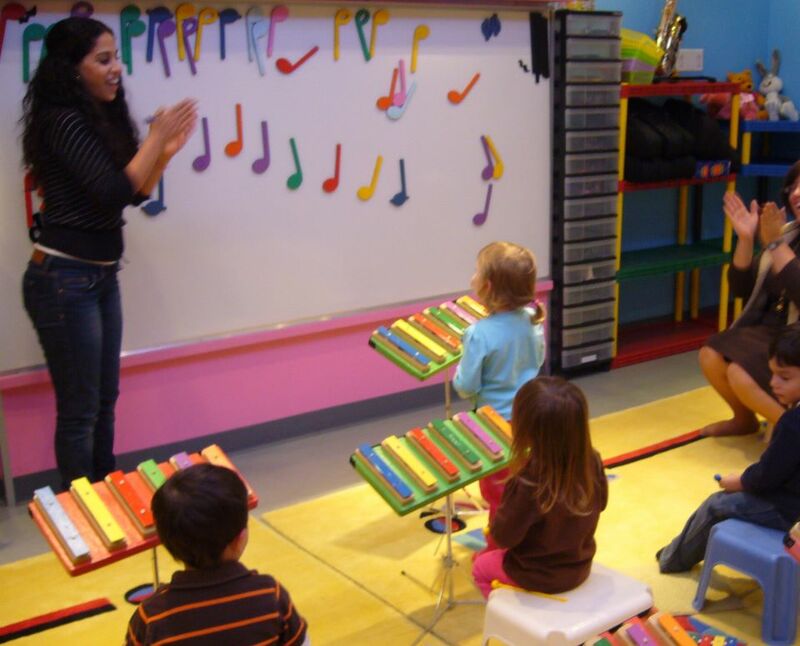 Some children enjoy music so much that they register for classes two or more times a week. Can I be present in class? Yes. 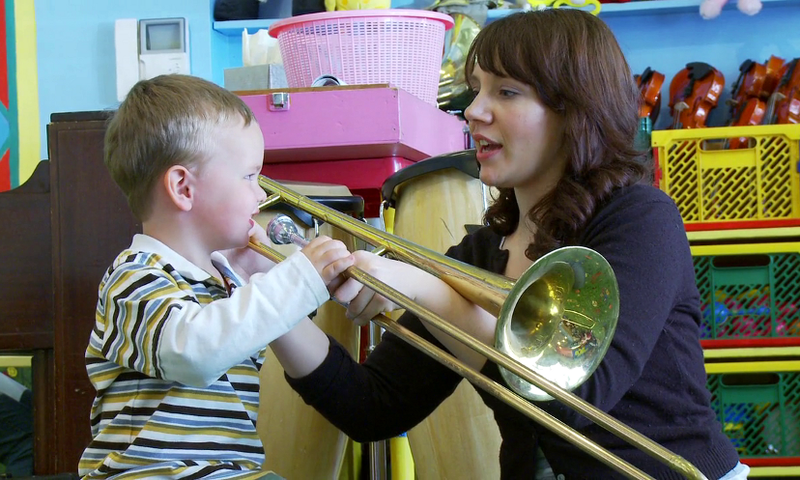 Parents or caregivers are required to be present in music class. In dance class, it is not required to be in the classroom, but parents/caregivers must be present within supervision distance. You may enjoy and watch your children from the lobby. Besides enjoying classes with your child, parents/caregivers are fully responsible for your child’s behavior during lessons. Can I participate in music activities? Yes. We welcome and strongly encourage you to interact along with your child. Your child has more fun when you learn together, and it can be even more enjoyable to repeat the games, songs and movements at home. Am I allowed to bring older or younger siblings to class? While we recommend that children attend an age-appropriate class, we are willing to work with parents to accommodate their needs. Again, please check the office to avoid overcrowding. Siblings over 4 months old should also be registered in the program. Can I bring other family members to class? Please check with the office beforehand to make sure that there are no additional students scheduled for trials or make-ups in the same time slot. We try not to overcrowd classes and make sure that all children are comfortable. What if I believe my child is advanced for his age and should be in the next age level group? At the time of registration, you may request to be enrolled in an older age group. If you discover it in the course of the semester, you may offer to be transferred to a different group upon availability, your teacher can advise you on the appropriate class. What if we missed the beginning of the semester? It is never too late to start. Enrolling mid-semester will not affect the results of our program. Please call the office; we will be happy to accommodate your child if your preferred group has an available spot. Tuition will be prorated through the end of the semester. Do I have to enroll my child for the full year? No. We run Fall (September to December), Winter (January to April) and Summer (May to August) semesters. There are usually 13 to 16 classes in each semester depending on the calendar. You may register for one semester at a time. Will we have to pay a Registration fee if we skip one semester? No. Your registration fee is valid for one year from the term in which you paid it. For example, if you paid the registration fee in the Fall 2004 term, it will not be due again until Fall 2005 term. When is the right time to re-register for the next semester? Our office is ready to take registrations approximately one month before the start of the new semester. We usually issue a friendly reminder to our families to let them know it is time to reenroll. Registering early will ensure your child a spot in your desired class. If the desired class is full, does my child have a chance to be enrolled in the future? Yes. Please call the office and ask them to include your child on the Waiting List, indicating 2-3 possible choices. We will contact you upon availability. You may also call the office at any time to upgrade your waiting list options. What if the class I want is not being offered on the schedule? Feel free to discuss your request with our office. We will include you on the Waiting List and if possible, we may be able to open a class for you. Students withdrawing before the first class will receive a full tuition refund less the registration fee. Prorated refunds will be granted only up to the 3rd scheduled class. The registration fee is non-refundable. What if my child missed a class? Students can make-up any missed classes in the session in which they are currently enrolled. Make-ups must be arranged by calling the office. 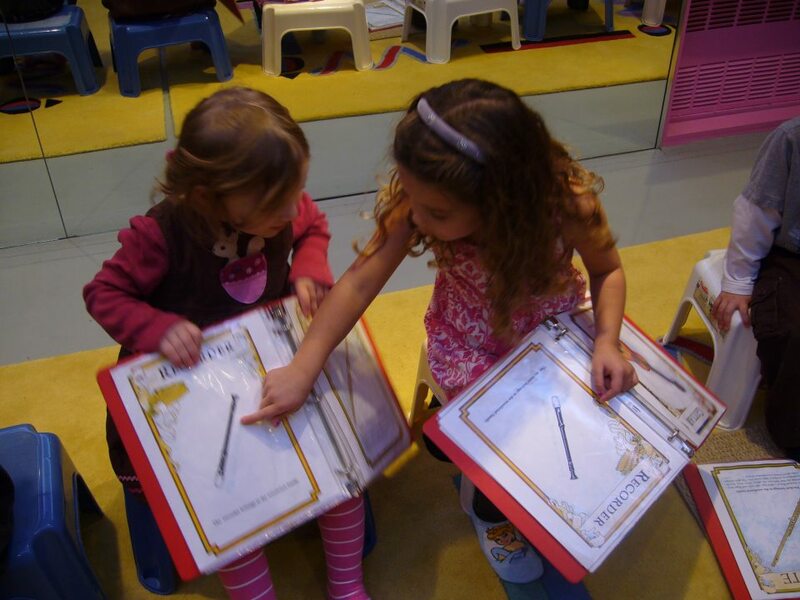 Book the perfect birthday party for your child at MusiBambino! Reserve your event at our studio or at your own venue nearby. Have an unforgettable experience with your child singing their favorite songs and exploring many different instruments! Please call the office at 212-877-7125. We are CLOSED for Passover/Easter: Saturday April 20th until Sunday April 28th. Come join us for SUMMER 2019 Semester. Check out our schedule for availability. 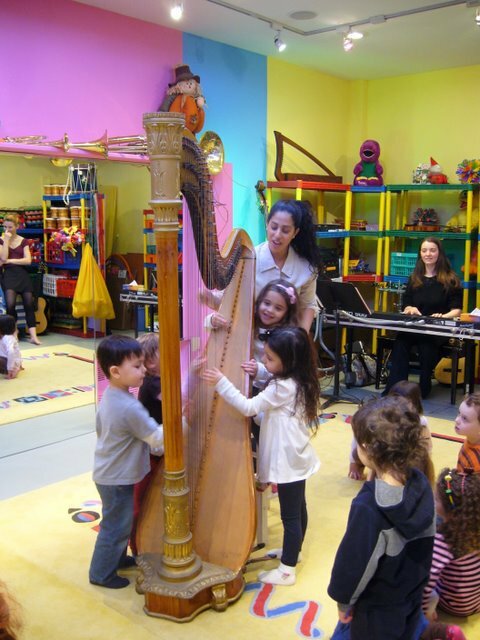 Feel free to email us at: musibambino@gmail.com or call us (212) 877-7125 with any questions. 40% discount is available for 2nd sibling or 2nd class a week registrations. Once a year per family. 2nd Sibling / 2nd Class Discount – 50% and a waiver of the registration fee for 2nd and each following child are offered. 50% discount for attending a second class per week is also available.